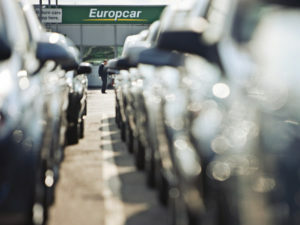 Europcar has admitted it may have overcharged consumers by around £30m following alleged repair overcharges. The car hire giant said it is undergoing investigation by UK Trading Standards into repair costs levied in the UK – which began in June. According to a report in the Telegraph, Europcar has been accused of overinflating repair claims to customers by up to 300% over the last decade, and it added that the Serious Fraud Office (SFO) is preparing to begin a criminal inquiry. 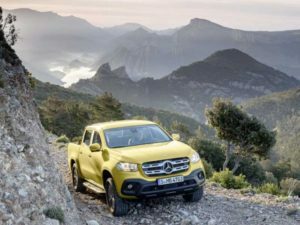 Mercedes-Benz has taken the covers off its all-new 4×4 double cab pick-up, the X-Class, and it goes on sale in the UK this November with customer deliveries starting in early 2018. Continuing Merc’s already established relationship with the Renault-Nissan Alliance (Citan), X-Class is based on the underpinnings of the latest generation Nissan Navara and the upcoming Renault Alaskan. UK variants will be built in Nissan’s state-of-the-art facility in Barcelona. It launches with a 190hp version of the Renault/Nissan 2.3-litre bi-turbo diesel, with a 255hp 3.0-litre V6 diesel due to follow next summer. For the UK, gross payloads easily exceed one tonne, making X-Class VAT-reclaimable, and all models will have a braked trailer towing weight of 3.5t. Three trim levels will be on offer — Pure, Progressive and Power — distinguished by varying levels of colour-coding, bling and trim. 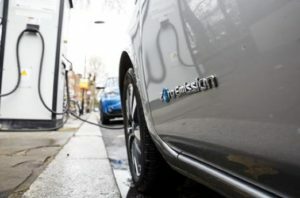 A pay-per-mile road tax that would replace fuel duty and VED and encourage fleets to move from diesel to plug-in vehicles has scooped this year’s Wolfson Economics Prize. The proposal, submitted by graduate transport planner Gergely Raccuja, is based upon the idea of a single per-mile charge based on rates dependent on the vehicle’s weight and its tailpipe emissions. This would see zero and low emission cars remain the most economical to run but there would be a charge for them in line with their mileage. Conversely diesels would be more expensive and as a result, the plan foresees that fleets would be heavily incentivised to switch to ULEVs. Daimler will offer a free software upgrade for around three million diesel vehicles, said to curb harmful nitrogen-oxide (NOx) emissions in real-world use. The work is expected to start within weeks, is compatible with “nearly all Euro 5 and Euro 6 vehicles in Europe”, and designed to make a “significant contribution to the reduction of nitrogen-oxide emissions in European inner-cities”, the carmaker said in its statement. Daimler has yet to confirm how many UK cars are included in the total, but the work is voluntary and can be carried out during a service. The €220m (£195m) total cost is being covered by the manufacturer, with no cost passed on to end-users. A bright orange smart motorway is being trialled on the M3 in Surrey to see if it can improve driver awareness of what do to in an emergency. The redesigned emergency area uses a bright orange road surface and along with clearer signs on where to stop, additional distance markers between ERAs, and better signage that uses the SOS acronym – the new features are intended to make it more obvious to drivers on smart motorways while also stopping drivers for using the ERA for anything other than an emergency. 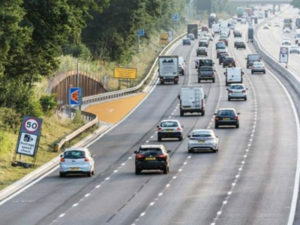 Part of an ongoing review into the design and spacing of emergency areas on smart motorways that is due to report in the autumn – similar areas could be rolled out across the smart motorway network if it proves successful. Me Connect Business will enable vehicles to be integrated into a Daimler telematics system. 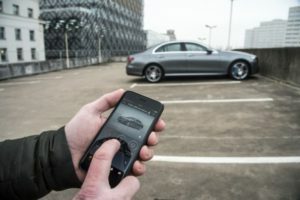 Daimler will launch a multi-marque telematics solution for fleet managers at the end of the year, building on the driver-focused ‘Me Connect’ system, offered since 2014. Me Connect Business will offer a “much broader telematics suite”, according to UK head of fleet, Rob East, enabling fleet managers to access information such as location and maintenance data via an app or web portal, and add it to an existing Me Connect driver account. 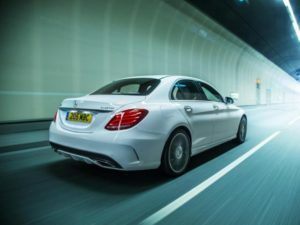 The system uses factory-fitted hardware on Mercedes-Benz products, though other vehicles can be integrated into Me Connect Business using Daimler’s own black box unit, which takes around half an hour to fit. Both could also potentially provide data into third-party software, though this is not confirmed as a feature from launch. To read the full story click here.For more of the latest industry news click here.